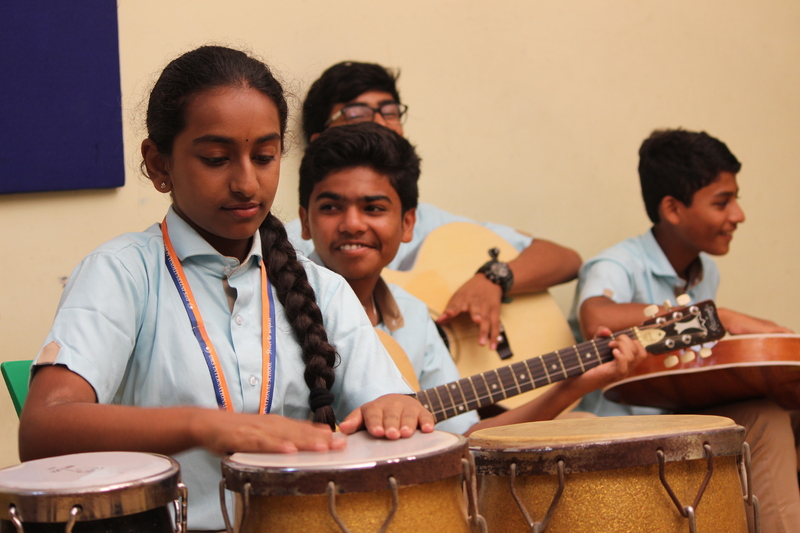 Our 3C education model revolves around the ‘Inquiry based learning’ through the ‘3C approach’ which develops the character, competence and thus content in a child, and ensures that the child receives a holistic education. …Our holistic education program is designed keeping in mind the best of international and our indigenous learning practices, which in turn provides the best learning environment to each Child’s individual learning requirement. …Our child centric approach assists the child to give meaning to their understanding of the world. …Our trans-disciplinary approach caters to the needs of the individual learning styles of the child. Is the information which contextual, relevant and induces action conforming to prescribed standards of the national curricular framework transcending to global standards. There are 8 key concepts. Form- What is it like? Role – How does it work? Purpose – Why is it like this? Transform – How is it changing? Link – How is it connected to other things? Outlook – What are the points of view? Accountablilty – What is our responsibility? Contemplation – How will we know? An explicit expectation of 3C in a successful inquiry will lead to responsible action which is initiated by the student as a result of the knowledge Constructed through the learning process. In 3C, it is believed that every student has the right to involve in such actions as well as should have the opportunity to involve in such actions too. Through this means students are able to grow both personally and socially while developing skills such as cooperation, problem solving, conflict resolution, creative and critical thinking. Ref: ‘Glossary’ from ‘Stirring the Head, Heart and Soul’ redefining curriculum, instruction and Concept- based learning by H Lynn- Erickson. Next Learning Program at edify !